There’s no-one in racing who doesn’t know the name Igugu, certainly not in this country, and there are very few abroad who have a connection with the game, that don’t know the champion daughter of Galileo. Real fans are also aware that the first time she was beaten, was by Hollywoodboulevard, both of them graduates of the Australian sales. We make the pilgrimage to Australia every year, principally to provide variety for our Ready To Run drafts, and to ensure that when it gets down to the R2million Emperors Palace Ready To Run Cup, the parade ring doesn’t resemble a Summerhill benefit day. On our last trip to Melbourne, as is our custom, we were lunch guests of John Messara’sArrowfield Group in their hospitality tent, where you can count at any serving, on the best prawns for the bays around the Mornington Peninsula. It so happened that whilst in their company, Australia’s TVG racing channel, dedicated a 40 minute interview to one of Australia’s best known radio and TV personalities (and former Wallabies coach), Alan Jones, who happens to be a major investor in the Arrowfield stallions, and who keeps his mares on the famous spread in the Hunter Valley. 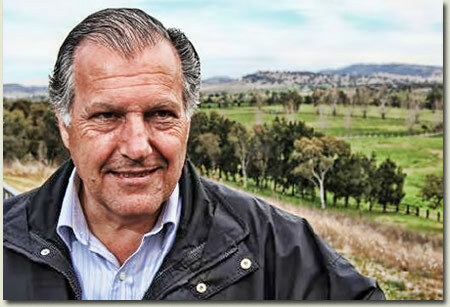 There was a point in the interview at which Jones was asked what it meant, even for a man of his immense reputation, to be associated with a farm like Arrowfield, and especially with an industry leader of John Messara’s calibre. Jones’ response was not what you’d call predictable. “At the personal level, I rate John Messara the industry’s outstanding thinker and innovator, yet it seems that Australia just doesn’t appreciate what they have. He’s not represented on a single industry body right now, and that’s an indictment on the game”, or words to that effect. Just this past week, that was put right. At last, the Minister responsible for the racing industry in New South Wales appointed Messara as Chairman of the New South Wales Racing Board, which means that the country has at last harnessed one of the world’s most fertile minds. Messara is surrounded by some eminent individuals, (Naseema Sparks, Ken Brown, Russell Balding, Tony George Hodgson, Alan Brown and Hon. Kevin Greene), capable of remoulding the fortunes of racing in the Sydney environs, and with the Arrowfield boss at the helm, you can look forward to something of a revolution. Incidentally, Arrowfield is a fellow investor in the Summerhill-based stallion, Way West, who carried that farm’s black and yellow check colours to glory on his big day in the Blue Diamond Prelude (Gr3).